The All Pakistan Private Schools Federation (APPSF) launched a rebuttal to Malala Yousafzai’s novel ‘I am Malala’ by releasing a book titled ‘I am not Malala, I am a Muslim, I am a Pakistani’ at the National Press Club in Islamabad. “The book is written with the aim to reveal the truth and counter anti-Islamic propaganda and expose the nefarious designs of anti-Islam forces,” said the author of the book, Mirza Kashif Ali, President All Pakistan Private Schools Federation (APPSF). “I am Not Malala, I am a Muslim, I am Pakistani” was introduced in a ceremony chaired by Ali at National Press Club in Islamabad. “I am Malala” describes Malala’s life under the Taliban’s brutal rule in the Swat valley in the mid-2000s and hints at her ambition to enter Pakistani politics. Some private schools banned it from their premises last year due to what they called its “anti-Pakistan and anti-Islam content”. APPSF which comprises of a total of 173,000 private schools termed the Nobel Peace Prize winner’s book ‘controversial’, banning it in all private schools and colleges as a result. According to the organisation, the book contains offensive text regarding Islam, Quranic teachings, Prophet Muhammad (pbuh), Pakistan’s ideology, Quaid-e-Azam Muhammad Ali Jinnah and Pakistan Army, thus cannot be added in the curriculum. Earlier in a statement, Adeeb Javadani, the central president of All Pakistan Private Schools Management Association (APPSMA) said that the book, the book was meant for the Western audience and did not receive much appreciation in Pakistan – a fact that had already decided its fate. Further, APPSF announced its decision to take the matter to court on November 13, in order to ban the book across the country. “Malala is a darling of the west and Shiv Sena, the same people who created al Qaeda and the Islamic State (IS), have created Malala,” Ali said. The book, “I am not Malala”, aims to tell the readers that Malala, by comparing the Army with militants, the young literati is actually bashing the Army under the garb of female education. Further, while the book praised Aitizaz Hasan, the young student who sacrificed his life to save his schoolmates by tackling a suicide bomber, it also questions her indifference towards Israeli aggression or the ongoing brutality in Gaza, which she did not mention in her book for while she spoke against the atrocities of Boko Haram in Nigeria, thus concluding that Malala is loyal to the Jews and the west. “She has formed strong nexus with Salman Rushdie and Bangladeshi writer Tasleema Nasreen, and also believes in their ideology,” he alleged. “Malala says that she does not fear the Taliban any longer but will she return to Pakistan if she has no fears?” he questioned. “She will never do so because she will lose support of her masters and the easy money flowing in,” he further alleged. The rebuttal of Malal’s book also portrays her father, Ziauddin Yousafzai as a ‘double agent’, electricity thief and a traitor based on his demand to hand over Shakil Afridi, the man who allegedly ran a fake vaccination campaign with CIA’s help to gather information in order to assist the US trace Osama bin Laden. However, Ali stressed that the organisation went on a countrywide strike in order to show solidarity with Malala when she was attacked. How can a child be any more Muslim than he or she can be a PPP or PML or PTI supporter? Isn’t religion an important enough matter that affects all facets of life that a person should be able to consciously decide on what they believe? They know nothing of reality..
not a mallala fan or her book. but this person ” President All Pakistan Private Schools Federation” writing a book to teach ethics, morality and islamic values? Seriously? Since he is the president of all pakistan private school, he would know that the private schools under him are looting the poor parents with un-fair fee structures. While your views of Malala are worth praising, she is not the only Pakistani who wion the Noble Prize. 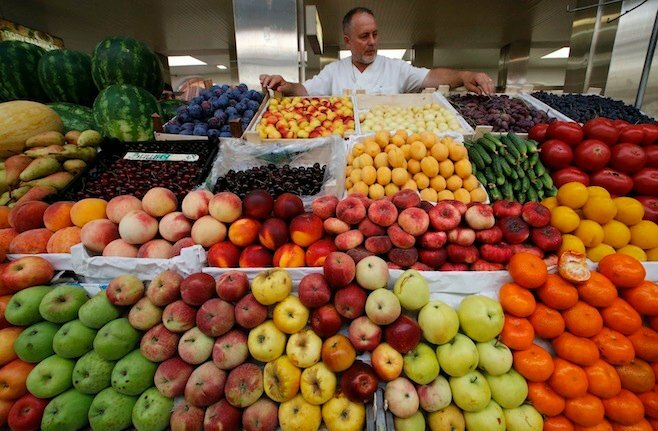 Professor Abdul Salam won it for his scientific achievements. Younger girls of the 3rd world countries needed a face to represent them in an international forum. They all deserve the voice or at least the basic education for better futures. Malala is their voice. Whoever “made” Malala did a fantastic job, hats off to them! 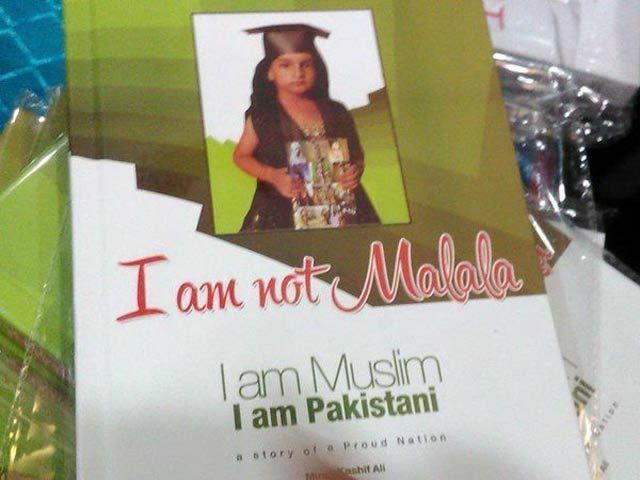 “I am not Malala” Funding for publication is provided by The Lal Masjd and all supporters of terrorism in Pakistan. The timing of this books tells everything. Two months ago the whole of Pakistan was up against these APPSF blood suckers for their excessive school fees and pathetic service. To divert attention from their greed and avarice, they are not hiding behind religion and patriotism at the expense of poor Malala. The title of the book is the only sentence that makes sense.